It never ceases to make us smile at Baines Bathrooms when asked to come out and either create a wet room or install a new bathroom in a property for clients when we are greeted with the words “We really should have done this ages ago”. The simple truth where the homes we live in is concerned is that we put up with an awful lot that could be improved, just because we get used to it and tend to stop noticing the problem or problems after a while. 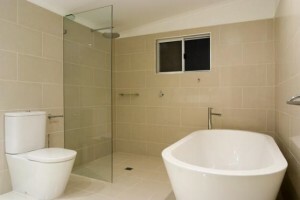 Bathrooms are a classic example and on some occasions our clients have almost been embarrassed at the state of the bathroom that is being replaced. However we do also understand that there are innumerable other things that take precedence in life over a new bathroom or wet room installation. Providing we get clean and we don’t create a flood in the room below when we have a bath or shower, then functionality becomes the order of the day. However think back to the last time you stayed in a hotel. Remember how you felt enjoying a nice soak in the bath or being able to stretch your arms out in the shower, all within an environment that was fresh, modern and which looked really nice. The chances are you didn’t come out any cleaner than you would at home, but mentally we bet you that you enjoyed yourself so much more and felt more invigourated and refreshed. Well transfer yourself back home and you can enjoy the same experience, and you know what, you probably deserve it if you have waited quite some time to upgrade your bathroom or fit a wet room. There is always that sense of feeling guilty for treating yourself to what you may consider a luxury, but everything in our home has a lifespan, and if your current bathroom is reaching its sell by date, then what better time to enjoy something fresher and more modern? Why not give us a call at Baines Bathrooms and invite us out to run through some options for bathrooms and wet rooms ideas with you through our free design and planning service; we not only cover the whole of Bristol, but also outlying areas including Bradley Stoke, Almondsbury, Patchway, Stoke Gifford, Thornbury, Yate, Mangotsfield, Filton, Brislington, Frenchay, Southmead and Downend.